Some things are worth the keeps and others you should get rid of. If the interior painting of your home is dull or needs a change, then give your home a nice make over. Researchers have found evidence that colors play a psychological role to one's environment. Interior painting in Chicago is one of the inexpensive means to achieve giving your interior home a beautiful look and a pleasant environment. Our interior painting Chicago contractors can help you turn your old, dull interior home into a new and lively place to live in. We provide you with a full line of professional painting services second to none. It doesn't matter if you want us to use our own flat or semi-gloss paints, or use your own paints. Our professional interior painting contractors will use the right tools to make sure your home gets the professional look it deserves. Whether you are looking for a small painting project or a complete interior one, you can rest assure our experienced and professional painting contractors in Chicago are here to help you. 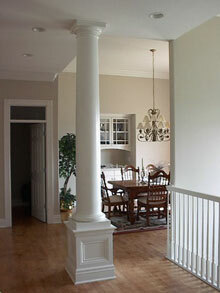 If you are looking for services other than interior painting Chicago, please click "Home" link on top.